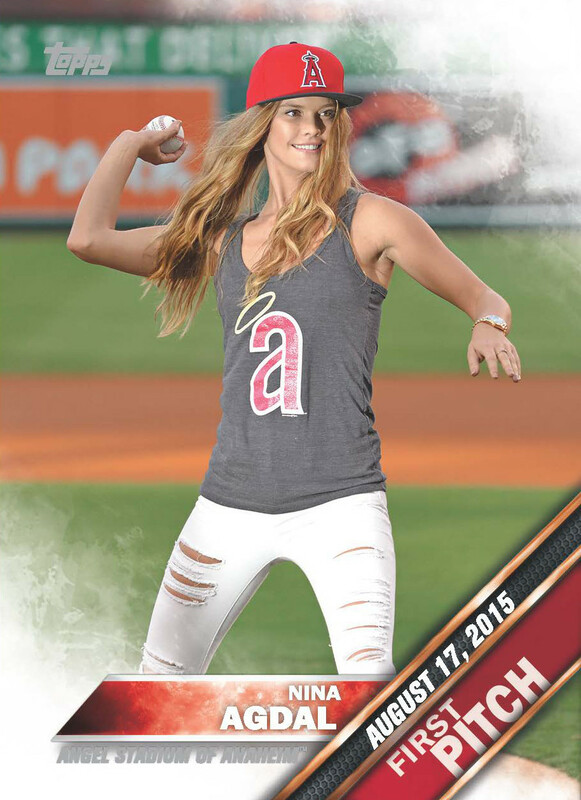 Topps today introduced its 2016 Series 2 baseball cards, and some special insert celebrity first pitches are in the set. There are a total of 20, which fans will find in random packs starting in today’s issue, highlighted by model Nina Agdal, boxer Miguel Cotto (Dodgers), late-night host Jimmy Kimmel and former president George H.W. Bush (Astros). Series 2 includes 350 new cards for current and future standouts, including Boston Red Sox’s David Ortiz, New York Mets’ Yoenis Cespedes and Angels’ Albert Pujols, along with rookie cards of Los Angeles Dodgers pitcher Kenta Maeda, Minnesota Twins outfielder Max Kepler and New York Yankees catcher Gary Sanchez. Cards are available at hobby stores, retail location and at topps.com. The full list is below.